Is the gastric-brooding frog the Second Coming? 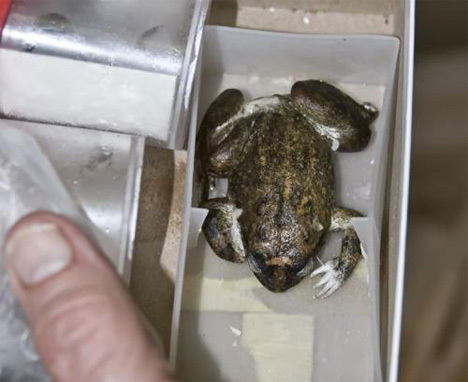 A team of Australian biologists has resurrected a long-extinct species of frog which may have the most unusual egg hatching habits in the animal world. Thanks to the efforts of the scientists working with the Lazarus Project, the resurrected frog may eventually ascend to sit upon the right hand of a scientist. 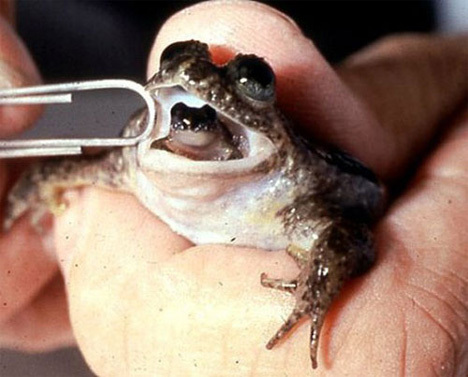 Researchers at the University of Newcastle in Australia have recently taken DNA from a preserved mouth-brooding frog in an attempt to resurrect the little guy from complete extinction. After being judged by habitat loss and persecuted by a council of parasites, fungus and invasive weeds, the frog was condemned to extinction in the 1980’s. 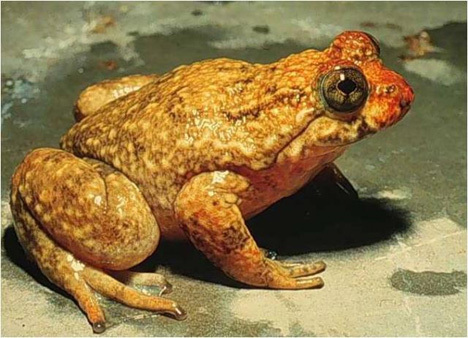 The researchers involved, working with the Lazarus Project, neutralized eggs from a distant relative, the great-barred frog, and inserted into them the nuclei of the mouth-brooding frog. This was done using a system called somatic cell nuclear transfer. A few of the eggs miraculously split and expanded to the embryonic stage. Although none of these embryos made it through a couple days, subsequent testing showed absolute proof that the little life forms did contain genetic material from the defunct species.